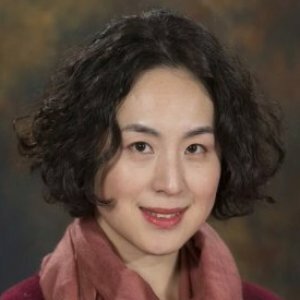 Dr. Wu received her PhD from the joint program of Sociology and Communication at SUNY Albany, and her research focuses on the crossroads of popular culture, politics, new media, and civic engagement. Her dissertation—“Entertainment and the Public Sphere: The Convergence of Popular Culture and Politics in China’s Public Sphere and Cyberspace”—won the University Distinguished Doctoral Dissertation Award in any field in the College of Arts and Science at SUNY Albany. She uses a variety of perspectives and research approaches from media studies, cultural sociology, and political communication to study the convergence of popular culture and politics, how entertainment experiences contribute to civic engagement, how people behave in new media environments (such as massive multi-player online games), and how citizens use social media to connect with others and organize their civic voices. Interested in both the U.S. media and the mass media in China, where Dr. Wu is from, she is also delving into cross-cultural comparisons. Dr. Wu is the author of the forthcoming book, "Entertainment and Politics in Contemporary China" (Palgrave Macmillan, September 2017). She has shared her diverse research interests in many conference presentations, peer-reviewed journal publications and book chapters, in addition to her classroom teaching. She teaches a series of courses in media studies, including media literacy, media technologies and public policy, and mass media in contemporary society. Dr. Wu was interviewed by the Hong Kong-based Phoenix Television outlet about the concerns of Chinese voters in the U.S. during the 2016 presidential election cycle. 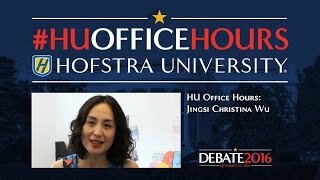 Dr. Wu is interviewed by the Hong Kong-based Phoenix Television outlet about candidates Donald Trump and Hillary Clinton on the day of the first presidential debate at Hofstra University, Sept. 26, 2016. One Hofstra professor has already talked about the show in her media literacy class. Jingsi Christina Wu says her students, who are mostly from Long Island, are worried about how “Princesses” will portray women from wealthy backgrounds. 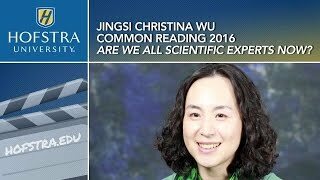 Dr. Wu's research explores the intersection of entertainment media, politics, civic engagement, and culture. She is the author of the forthcoming book, "Entertainment and Politics in Contemporary China" (Palgrave Macmillan, September 2017). Awarded grant to develop her manuscript for "Entertainment Media and Politics in Contemporary China." In this project, Dr. Wu investigates interracial communications, especially that between Chinese Americans and mainstream political discourses during and following the 2016 presidential election. With Barack Obama’s successful election in 2008 and re-election in 2012, “post-racial America” became a buzzword and diversity seemed to have achieved its landmark victory. However, Dr. Wu argues that disconnects in America’s racial discourses and interracial communications continue to exist and came to stark display during the divisive presidential election of 2016. Normative theory revolves around implicit or explicit notions about the role of the media, especially in functioning democracies. Dr. Wu discusses research from her upcoming book, "Entertainment and Politics in Contemporary China," and the cultural revision that an Aesthetic Public Sphere theory introduces to normative theories about media and democracy. In mapping out the structures of representation surrounding a popular talent show in China, this study supports the idea that aesthetic evaluations and discussions more often than not extend into areas of broader concerns. By discussing a popular entertainment program, cultural critics have helped nurture public spheres in which civic issues can be enthusiastically and creatively talked about. The aesthetic public sphere essentially provides an extension of the formal Habermasian public sphere, thus suggesting a more significant civic role for entertainment programs.